Description: They Must Be Represented examines documentary in print, photography, television and film from the 1930s through the 1980s, using the lens of recent film theory as well as scholarship on race, class and gender emerging from the new interdisciplinary approach of American cultural studies. Paula Rabinowitz discusses the ways in which these four media shaped truth-claims and political agency over the decades: in the 1930s, about poverty, labor and popular culture during the depression; in the 1960s, about the Vietnam War, racism, work and the counterculture; and in the 1980s, about feminist and gay critiques of gender, history, narrative and cinema. A great deal of documentary expression has been influenced by developments in cultural anthropology, as committed artists brought their cameras and typewriters into the field not only to record, but also to change the world. Yet recently the projects of both anthropology and documentary have come under scrutiny. Rabinowitz argues that the gendering of vision that occurs when narratives conform to conventional genres profoundly affects the relation of the documentarian to subject. She goes on to define this gendering of vision in documentary as an ethnographic process. Ultimately, this polemical study challenges the construction of the spectator in psychoanalytic film theory, and articulates a new model for theorizing power relations in culture and history. 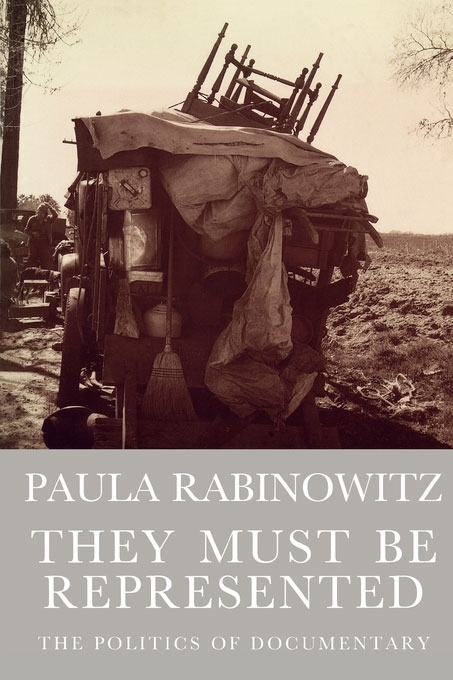 Author Biography: Paula Rabinowitz is Associate Professor of English, American Studies and Women's Studies at the University of Minnesota. She wrote Labor and Desire: Women's Revolutionary Fiction in Depression America and co-edited Writing Red: An Anthology of American Women Writers, 1930-1940.